The Global Memorandum of Understanding, GMoU Model of Oil and Gas Major, Chevron Nigeria Limited, CNL, operator of the NNPC/Chevron Joint Venture has yielded fresh infrastructural projects, with the commissioning of two hundred and seventy eight million, four hundred thousand naira (N 278.4m) worth of projects in the Egbema/Gbaramatu communities of Warri North and Warri South-West Local Government Areas in Delta State, Fresh Angle International can authoritatively report. Our Senior Correspondent who covered the commissioning of the community-driven projects which held Monday October 30 and Tuesday October 31, reports that the infrastructures include: Concrete Jetty/Walking Shed and Walkway at Azama (Sunny Zion) in Egbema Kingdom, renovated Egbema Heritage Guest House, Egbema Staff Quarters at Opuede, Gbaramatu Kingdom, 0.3km Road (rigid pavement/drains) at Benikrukru, Gbaramatu Kingdom, examination Hall at Kokodiagbene Model Secondary School, Laboratory Block for Kokodiagbene Model Secondary School as well as 0.9km Road project and rigid pavement/drains, both at Gbaramatu, Warri South-West Local Government Area. 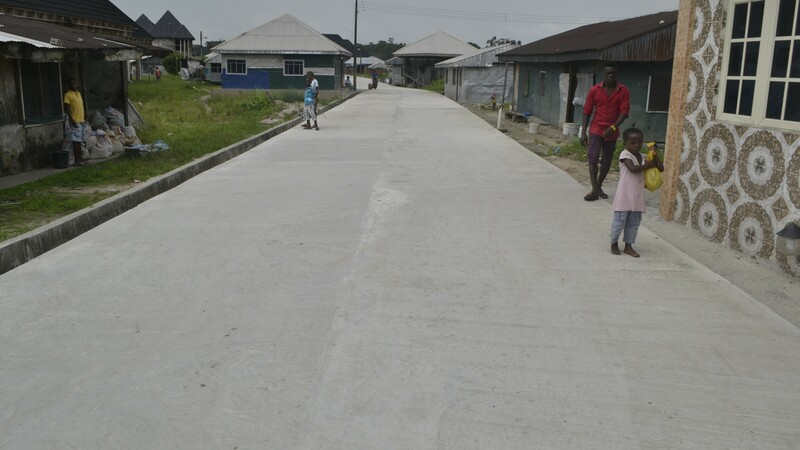 The Chairman of Egbema Gbaramatu Communities’ Development Foundation, EGCDF, Comrade Jude Ebitimi Ukori in his remarks during the epoch making events, disclosed that his administration which took over leadership barely six months ago was able to execute and complete the afore-listed projects. While commending Chevron and its JV partners for funding EGCDF, Comrade Ukori solicited for improved funding and appealed to the Federal and State Governments as well as major NGOs to assist CNL in the funding of projects in the Delta Ijaw coastal communities. 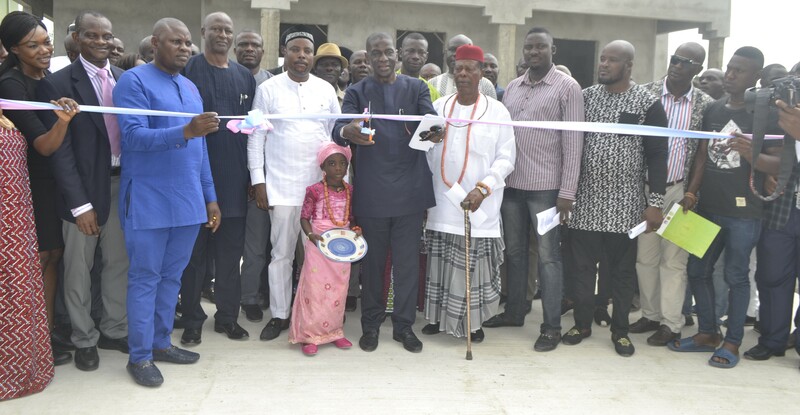 He admonished Egbema/Gbaramatu indigenes to continually provide peaceful atmosphere so as to attract more infrastructural and capacity building projects. 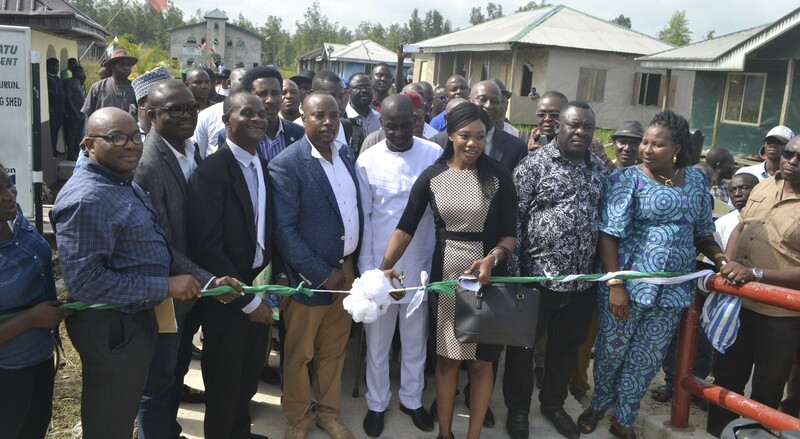 According to Ukori, EGCDF has completed two cottage hospitals in Oporoza and Tsekelewu communities in Gbaramatu and Egbema respectively, lamenting that both cottage hospitals are yet to begin operation because the Delta State Government is yet to take over and deploy the needed medical personnel. 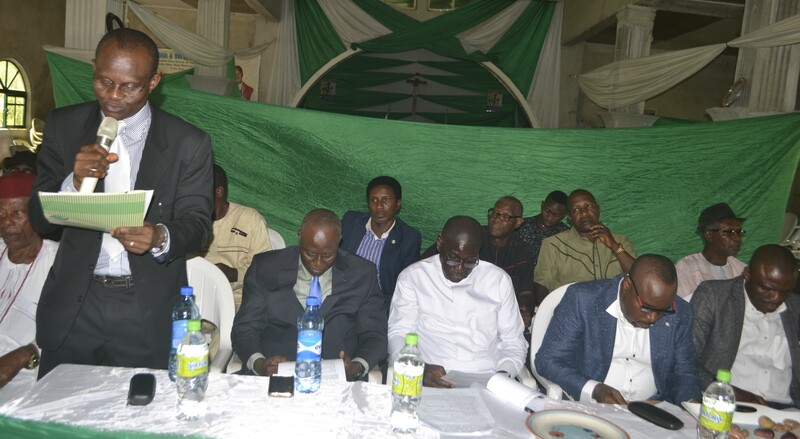 Delta State Governor, Dr. Ifeanyi Okowa who was represented by his Chief Staff, Chief Tam Brisibe, stressed the need for the sustenance of peace by the leadership of EGCDF in order to attract more development projects. 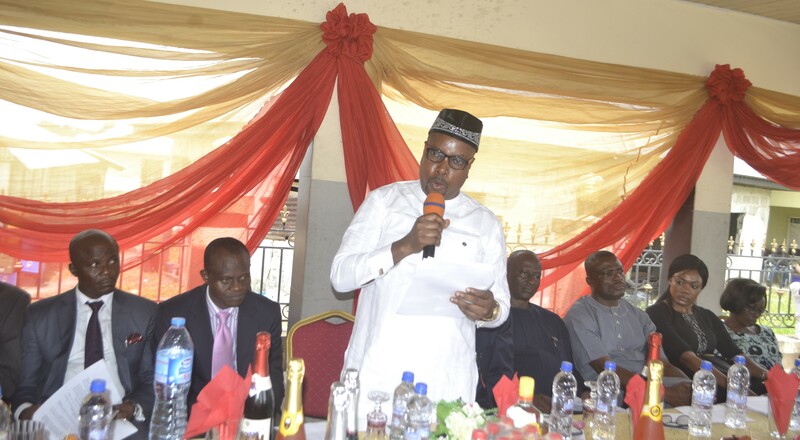 The Governor commended the NNPC/Chevron Joint Venture for executing the projects and promised that the State Government will work towards the take-over of the cottage hospitals. The General Manager, Policy, Government and Public Affairs, PGPA Chevron Nigeria Limited, Mr. Esimaje Brikinn expressed delight at the level of progress so far achieved by the company in its areas of operation since the GMoU Model was signed in 2005, saying over N3 billion has been expended on 116 projects by EGCDF since inception. 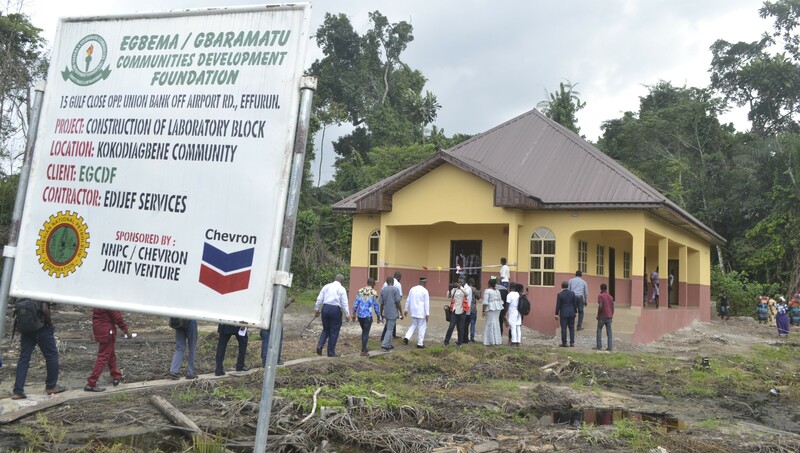 Mr. Brikinn who was represented by the PGPA Superintendent, Warri, Tony Emegere, stated that the commissioning of more projects by EGCDF is clear evidence of the determination to improve the living standard of indigenes of Chevron host communities. He revealed that over N460 million have been expended on the provision of scholarships, while N44 million has gone for micro credit programme. According to him, the greatest successes of the GMoU is putting the host communities on the drivers’ seat in terms of developmental needs, ensuring empowerment of the locals as well as their capacity building. He explained that new improvements in the GMoU Model will help to monitor and evaluate its impact on the various communities, even as it will focus on business development and economic empowerment of the locals. He spoke on the need for third party partnership and collaboration in the quest at delivering on Sustainable Development Goals, SDG and encourage operational excellence. The Group General Manager, National Petroleum Investment Management Services, NAPIMS, Mr. Roland Ewubare commended CNL for being sincere with the GMoU Model and appreciated the host communities under the EGCDF for their peaceful disposition. The NAPIMS Boss who was represented by Ajakaye Emily Ladi, advised the people of Kokodiagbene community and other communities in the EGCDF to shun violence and help to promote peaceful environment for the oil companies to operate. 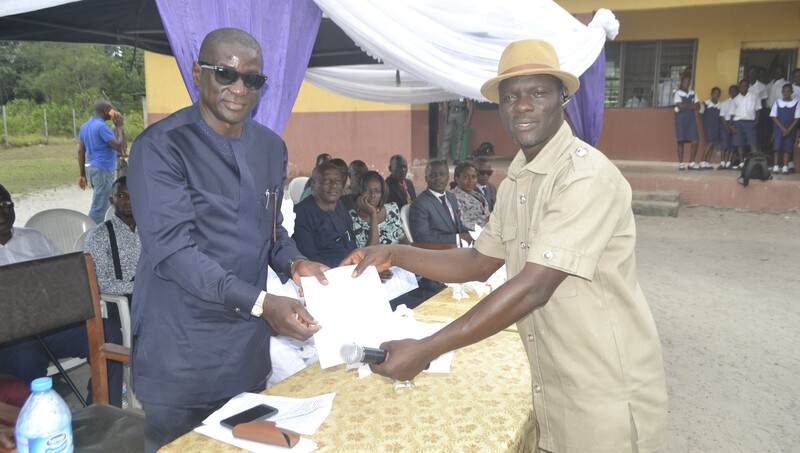 Also in his remark, the Chairman of Kokodiagbene community, Comrade Sheriff Mulade, an environmentalist, commended CNL and its joint venture partners, describing Chevron as a large hearted company whose effort and support has helped to improve the standard of education in Kokodiagbene and other EGCDF communities. Comrade Mulade used the opportunity to appeal to the Delta State Government and Chevron to provide portable drinking water for the students, concrete jetty for the community as well as posting of teachers to the area. Others who spoke at the event were: the Minister of Niger Delta Affairs, represented by John Kalio, Ojuh Agatha, Delta State Coordinator, Ministry of Niger Delta Affairs, MNDA, chairman of Opuede community, Williams Tortor, Kenyagbene community Chairman, Edwin Wuruyai, chairman Dumok Bloc of communities, Chief Moses Odibo and Dr. Jeffrey Wilkie, representative of the Member representing Warri Federal Constituency at the National Assembly, Hon. Daniel Reyenieju.